More and more companies are offering flexible benefits as a way of offering employees a choice of benefits to suit their lifestyle, age or stage of career. As experts in the field of flexible benefits, Ashworth Black can design and implement a bespoke flexible benefit scheme for you and your company. Because of the huge number of benefits available, the recognition that employees’ needs change as they go through their working life and the competition amongst companies to attract and retain the best employees meant the concept of flexible benefits was introduced. Flexible benefits are a total compensation policy principally based on the recognition that an individuals personal circumstances change and thus the value of the different elements of their employment package. Under a typical flexible benefits scheme, each employee would be given an allowance with which to ‘purchase’ a selection of benefits. A wide range of benefit options may be included such as company car, private medical insurance, dental care and life assurance. Some companies need to gain a competitive edge in the market to recruit and retain employees with particular skills which are very much in demand e.g. IT, audit and compliance, and customer call centre skills. Other companies have used flexible benefits schemes to reinforce cultural change by increasing the link between reward and delivery. Flexible benefits can also add to an employee’s sense of participation, responsibility and ownership. The freedom of choice element of flexible benefits schemes encourages employees to make decisions to suit their lifestyle. It has been said that the standard benefit package based on a “job for life” is no longer appropriate. Through flexible benefits an employer can introduce a range of benefits at little or no cost to the company thereby maximising the value of the current benefit package. 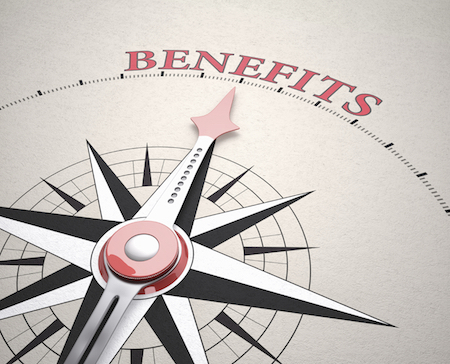 Many employees have little or no idea of the value of their benefits package. A flexible benefits scheme can increase this awareness. By giving employees choice to suit their individual needs, flexible benefits enhance the psychological contract between employer and employee and undoubtedly significantly increase the competitiveness of the whole remuneration package. Flexible benefits administration need not be a problem provided the routines and processes are designed to integrate, preferably electronically, with all appropriate internal and external interfaces. Many organisations do not link their reward package to their business or strategic needs and certainly do not communicate the links to employees. The concept of giving people an individual choice of benefits, rather than providing a standardised package, has been discussed in personnel circles for many years and a growing number of companies are adopting flexible benefits schemes. Employers’ reasons for flexing benefits are diverse – from empowerment or cost control to keeping up with rival firms. More companies are introducing flexible benefit schemes, particularly within professional service firms. Flexible benefits bring clear advantages to both employee and employer. It is a strong employee motivator, providing greater choice and empowerment to individuals, but still within the context of the employer’s overall strategy and objectives. As a result of the sharper focus on the benefits package that flexible benefits bring, employees may value their benefits more. Flexible benefits enables the employer to recognise the differing needs and aspirations of an increasingly diverse workforce whilst enabling the employees’ to exercise a degree of choice in the make-up of their remuneration packages by making a trade-off between perks. Indeed the main advantages of operating a flexible benefits scheme are reported, in descending order as, better targeting of benefits, better appreciation by employees and more competitive packages. The simple act of telling individuals what benefits they can choose each year means reminding them just how much the company spends on their existing package – a figure employees often overlook! In addition the associated increased freedom and choice can be an aid to recruitment and retention. This shows that employees with different lifestyles choose different benefits to suit their personal needs.